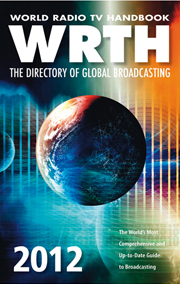 World Radio TV Handbook 2012 – 66th edition. The Features section this year has a history of radio on Tristan da Cunha, reviews of the latest equipment, an explanation of receiver testing terms and techniques, a visit to Radio Bulgaria, and other articles and items, including our regular Digital Update. Equipment reviews of Alinco DX-R8E, Pappradio, Reuter Elektronic RDR54C, Winradio Excalibur Pro, Sangean ATS-909X, and Tecsun Pl-660. Be the first to review “WRTH 2012” Click here to cancel reply.